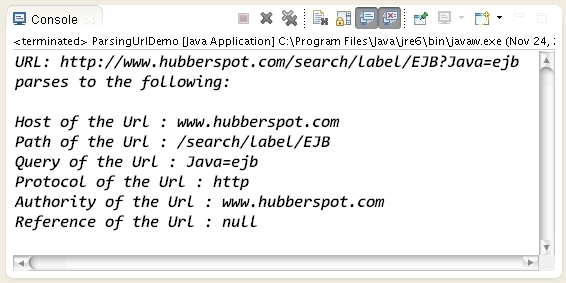 // Create a URL object by providing URL in the form of String. // getHost() : Returns the host name of this URL. // getPath() : Gets the path of this URL. // getQuery() : Gets the searched query in the URL. // getProtocol() : Gets the protocol used to refer this URL. // getAuthority() : Gets the authority of the URL. // getRef() : Gets the anchor of this URL.